It’s time for the final Hacking Chinese Challenge of the year! 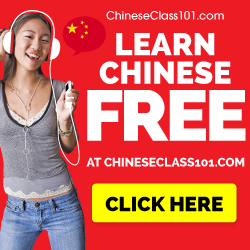 It’s about translation, which was the topic two months ago as well, but this time the focus is on translating from Chinese to your native language. This kind of practice used to dominate foreign language teaching, but has a bad reputation nowadays. While it’s not a good method to use all the time, it’s definitely a useful activity to engage in from time to time. Let’s do it this month, together! Please note: The challenge starts on December 10th (Saturday), so even if you join now, you won’t be able to report progress until then. I post this article today so you have a few days to prepare! This month’s challenge is presented in cooperation with Marco Polo Project with the goal of providing a more interesting way to practice translation. Marco Polo Project is an online platform that proposes a diverse selection of new writing from China – mostly targeted at high intermediate or advanced learners. 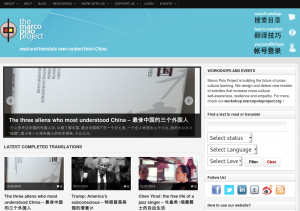 Their interface allows you to translate directly online, and share your translation with their readers. 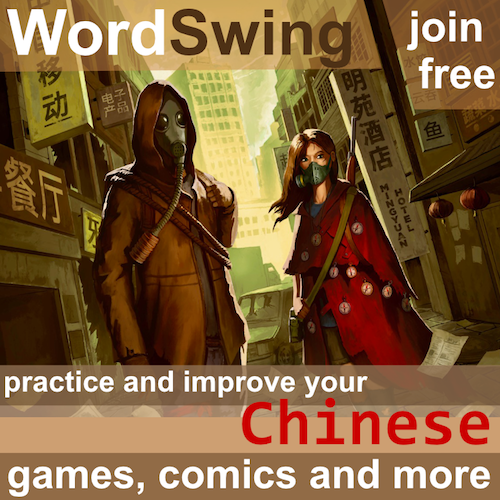 In 2014, I published an article written by their founder, Julien Leyre, on how translation can help you learn Chinese. If you haven’t read it already and wonder what translation can do for you, check it out! Marco Polo Project has been running collaborative translation events since 2013 . 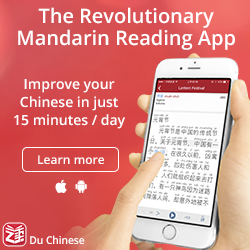 If you’re looking for a social way to practice, get together with a Chinese language buddy – pick a text to work on – and follow this four-step language fitness routine. Read out the text, and invite your language buddy to correct your pronunciation, or give the Pinyin of words you don’t know. Invite your language buddy to make an approximate translation of the text into English. Review the translation, with particular attention to syntax, and write it down on paper. Discuss the places where you made changes from the initial version proposed by your language buddy, reflecting particularly on differences in time, aspect, person, intention, and word order. 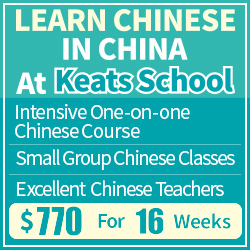 You can do this in person – or use this as an opportunity to reconnect with an old Chinese friend through Skype or WeChat. And if you run a language exchange event, or have a community of learners around you, you might be interested in organising a collaborative translation event on this model. Challenges on Hacking Chinese are measured in time spent, so how many hours should you aim for? I usually calculate this by removing two days every week where I’m simply not doing any studying at all (perhaps because I’m busy with work, family or other social activities). I then set an average which is slightly above what I think I would have spent practising anyway. I will experiment a little bit more with the challenges in 2017. I have personally felt that there has been too many challenges, probably because I try to participate in all of them. Therefore, the first thing I will experiment with is the duration and spacing of the challenges. Up till now, the challenges have been three weeks long and they have run for three weeks each. Starting from 2017, I’ll try running challenges every second month and make them one month each. This gives more breathing room and more time to prepare between challenges. I will announce the challenge schedule later. In the meantime, if you have any suggestions, please let me know in the comments!